Jerwyn Balthazar struck five times in the first half as Defence Force FC humiliated St. Ann’s Rangers 10-0 on Wednesday night at the Hasely Crawford Stadium in Round One Match Day Two of the 2018 Pro League. Balthazar, 35, Defence Force’s veteran playmaker, scored in the 19th, 21st, 32nd, 36th and 40th minutes after Thurlani George (15) opened the scoring for the Tetron Boys against Rangers, a completely new outfit under a new coaching staff headed by Dave “Hog Head” Quamina. Dylon King (43), an ex-Rangers frontman, made it 8-nil before the break, in a half that included an own goal credited to Rangers captain Chadley David (29). Brent Sam (48 & 61) hit the back of Rangers’ net twice in the second half to put his tally at eight goals in all competitions this season to complete the 10-0 romp against a side that are made up of mostly Pro League newcomers and more than half the “development” roster teenagers – and none above 23. Quamina and company would have surely thought they avoided a baptism of fire, losing 3-0 against Pro League powerhouse W Connection in their opening league game last Sunday, but they did not escape the fury of top flight football by their second outing. 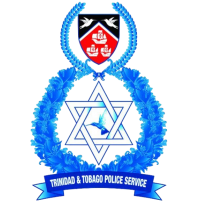 Defence Force (6 points) climbed top of the standings but only ahead of Connection by a superior goal difference after the Savonetta Boys whipped Police FC 4-0 in the second game of a double-header at Ato Boldon Stadium. 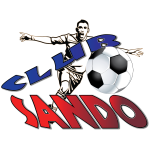 Central FC and Club Sando follow in third and fourth, respectively, with four points each as San Juan Jabloteh, after playing to a 1-1 draw in the first game in Couva. Sando had led the Central from 12 minutes when recent signing Shackiel Henry got the better of experienced Trinidad and Tobago goalkeeper Marvin Phillip to poke the Oranges in front 1-0. Central were dealt another blow in the 57th minute when defender Jared London, who joined the Couva Sharks this year from Sando, was shown the red card by referee Kellon Bacchus after picking up his second yellow card of the second half for a tug on Henry which took the former Point Fortin Civic and Connection forward to ground in the final third. But just as Central caretaker Walt Noriega was about to make a tactical change at the expense of veteran poacher Kerry Baptiste with his team down to ten men, the former Pro League Player of the Year combined brilliantly with Duane Muckette in the 64th minute at the edge of the Sando area for the latter to score a wonderful equalising goal past a hapless Kelvin Henry to put the scores at 1-1 following a left side move by Jameel Neptune. 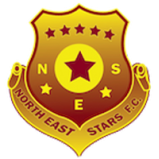 Noriega, though, still proceeded with the change with Hakim Baird replacing Baptiste, one of two starting changes from his team’s opening 2-0 league win over North East Stars. 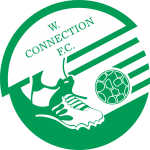 In the night’s second game, Kadeem Corbin opened Connection’s scoring against Police with a superb volley past goalkeeper Adrian Foncette for a 1-0 lead in the 35th minute off a delightful Isaiah Garcia cross from the right to redeem himself for a missed chance in the second minute. Connection captain and St. Kitts/Nevis international Gerard Williams cushioned the Savonetta Boys 2-0 from the penalty spot three minutes into the second half after referee CJ O’Brien ruled a handball in the box against Police defender Ryan O’Neil whose arm made contact to the ball as rolled on the ball in a sliding attempt to cut off a cross from Adan Noel. Jomal “Bebo” Williams, for a second consecutive time since returning to Connection after loan stints in Mexico and Azerbaijan, arrived off the bench to score a brilliant solo goal which beat Foncette from 25 yards to put the score at 3-0. Marcus “Lobo” Joseph completed the 4-0 rout in the 90th minute with his ninth goal in all competitions this season against a ‘keeper he had troubled on a few occasions on the night. Foncette, despite ending on the wrong side of the score-line, made two excellent stoppage-time saves against Joseph. Connection returns to play against rivals Central FC on Saturday in Match Day Three for the first Couva Clasico of the season from 6pm at the Ato Boldon Stadium, preceding a 4pm clash between Defence Force and North East Stars. 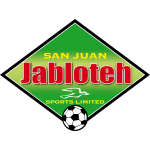 Simultaneously at the Mannie Ramjohn Stadium, Police FC will take on San Juan Jabloteh from 4pm, and from 6pm at Mahaica Oval, Club Sando will visit Point Fortin Civic. 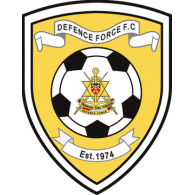 Defence Force FC 10 (Thurlani George 15’, Jerwyn Balthazar 19’, 21’, 32’, 36’, 40’, Chadley David Own Goal 29’, Dylon King 43’, Brent Sam 48’, 61’) vs St. Ann’s Rangers 0, at Hasely Crawford Stadium. 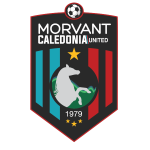 Point Fortin Civic 2 (Nion Lammy 30’, Hughtun Hector 38’) vs Morvant Caledonia United 2 (Richard Williams 3’, Malik Mieres 47’), at Mahaica Oval. 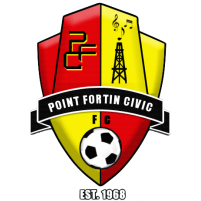 Point Fortin Civic vs Club Sando, 6pm at Mahaica Oval. 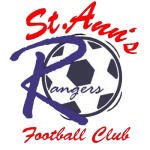 St. Ann’s Rangers vs Morvant Caledonia United, 6pm at Ato Boldon Stadium. Club Sando: 34. Kelvin Henry (GK); 5. Trevin Latapy, 6. Kemuel Rivers, 7. Akeem Humphrey, 8. Kevon Piper (19. Quinn Rodney 73rd minute), 9. Shackiel Henry, 10. Keron Cornwall (16. Micah Lansiquot 80th minute), 12. Michael Basdeo, 17. Tyrone Charles (21. Derron John 90th minute), 23. Nicholas Thomas, 27. Jayson Joseph (Capt.). Unused substitutes: 1.Stefan Berkley (GK); 13.Shakiyl Phillip, 14.Kadeem Gittens, 18.Aaron Kennedy. 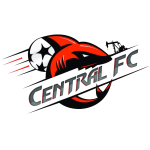 Central FC: 1. Marvin Phillip (GK); 8. Akim Armstrong, 10. Keron Cummings, 27. Anthony Charles, 12. Taryk Sampson, 15. Kaydion Gabriel, 22. Jameel Neptune, 19. Jared London, 24. Duane Muckette (Capt. ), 26. Dominic Douglas (13. Rhondel Gibson 78th minute), 29. Kerry Baptiste (7. Hakim Baird 66th minute). Unused substitutes: 5. Dwight Pope, 9. Jamal Gay, 17. Obadele Dickson, 18. Densill Theobald. W Connection: 18. Julani Archibald (GK), 2. Kurt Frederick, 3. Gerard Williams, 5. Triston Hodge, 6. Kevon Goddard (8. Jameel Antoine 84th minute), 9. Kadeem Corbin, 11. Adan Noel (27. Kierron Mason 66th minute), 19. Briel Thomas, 20. Daniel Diaz (7. Jomal Williams 46th minute), 26. Isaiah Garcia, 99. Marcus Joseph. Unused substitutes: 1. Aquelius Sylvester (GK); 13. Caleb Sturge, 15. Otev Lawrence, 34. Cephas St. Rose. Police FC: 18. Adrian Foncette (GK) (Capt. ); 3. Ryan O’Neil, 5. Kenaz Williams, 8. Kurdell Brathwaite, 9. Jameel Perry, 12. Nequan Caruth, 19. Christon Thomas (32. Keion Wilson 62nd minute), 23. Shakuile Williams, 25. Kaashif Thomas (13. Dillon Kirton 69th minute), 27. Rushawn Murphy (29. Clevon Mc Fee 62nd minute). Unused substitutes: 22. Theon Browne (GK); 4. Kadeem Boyce, 16. Brendon Creed, 24. Xavier Wheeler.